Expert IT support from Snider Technology takes the focus off your technology problems and puts it back on what really matters – Your Business. Snider Technology develops Managed IT Solutions to discover and fix critical issues before they negatively affect your business. There is no reason a temporary setback should turn into a permanent failure – if you protect your organization before disaster strikes. Don’t let technology bring down your business. 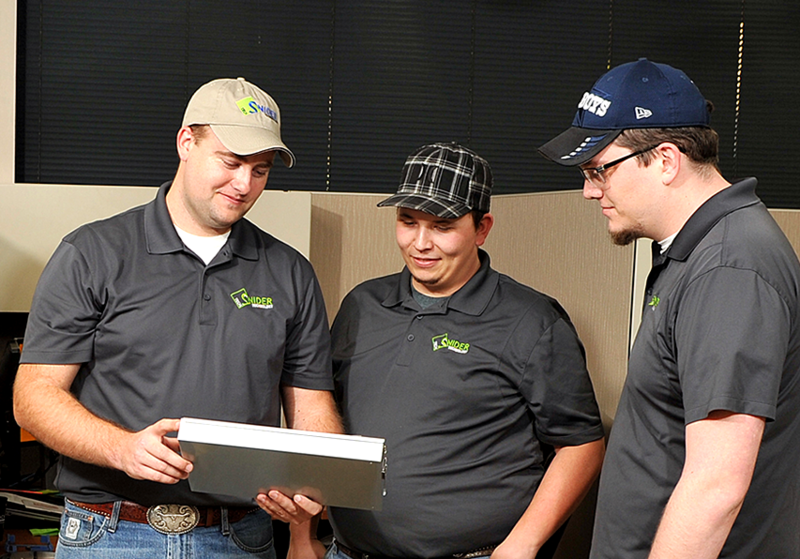 Snider Technology designs IT support solutions to keep your San Angelo business up and running. Our unique approach to providing technology consulting services allows you the ability to cost-effectively retain the highest-quality Technicians. Snider Technology customizes VOIP (Voice Over IP) solutions for businesses helping reduce costs, improve productivity and increase communication flexibility. Snider Technology provides installation and support for TimeClock Plus throughout Texas; Real-time employee time and labor management technology. focusing on end to end solutions. Expert IT Support from Snider Technology takes the focus off your technology problems and puts it back on what really maters - your business. By partnering with Snider Technology, our customers are able to have all the benefits of having their very own IT Department, for a fraction of the cost of hiring internally. IP theft soared more than 56% this year. 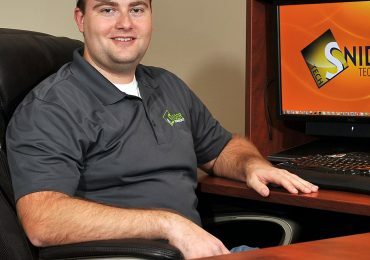 69% of small businesses hire IT service techs. 2.5 exabytes of data are created each day. Does your West Texas business strategically use technology to beat your competition? Is your business dependent on Information Technology to exceed the needs of your customers? Tired of computer techs who fail to understand business and the role the right IT solutions play? In our globally connected world, a business’ use of technology contributes directly to its overall success. Finding the right mix of software, hardware and technology systems can improve business efficiencies, improve client interaction and even keep retain your best employees. What’s more, businesses that successfully leverage technology will usually see an impact on their bottom line as well. 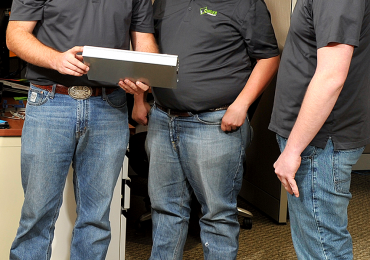 At Snider Technology, we offer the best IT services and tech support available across West Texas, including Midland, Odessa and neighboring communities. Our packages are designed to help your business use technology both strategically and help increase confidence through dependable systems. You will have an IT partner who combine the needs of your business with the latest and best technology available, our Texas-based IT service team creates high-value technology solutions for West Texas business and corporations that want to get ahead using IT. We provide high-performance IT support and service options at affordable prices, giving you dependable service and outstanding customer support. 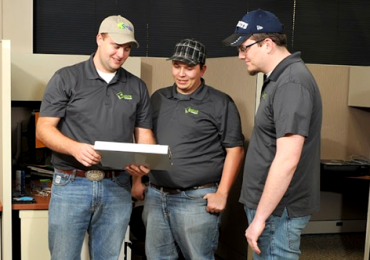 Snider Technology prides itself on providing the finest quality managed IT services and IT support throughout West Texas. Our professional tech support and strategy experts know how to help companies grow with managed IT services, and if you need day-to-day help with your computers, network or other IT systems, our tech support team is ready to help you out. Call us today to learn how we can help you take your West Texas business to the next level with expert Texas IT support. The biggest benefit to using Snider Technology is their ability to do a lot of things. Whether it is a cabling problem, software problem, or hardware problem, they are able to take care of it. It's a young company that works hard to keep up to date on new technology. They are not afraid to try something new and do the research to make it happen. Jason is my go to guy whenever we have any IT issues or new plans for expansion of our IT requirements. He is always proactive and I feel that we never have to worry that our system is not up to date. SniderIT brings solutions to us so we do not have to go looking for them. This is a list of companies that already trust us to provide their IT Support. Do join them.